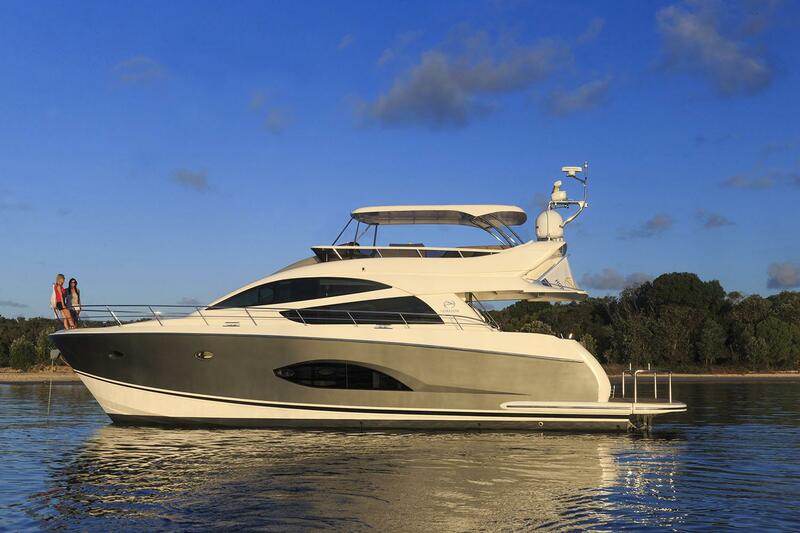 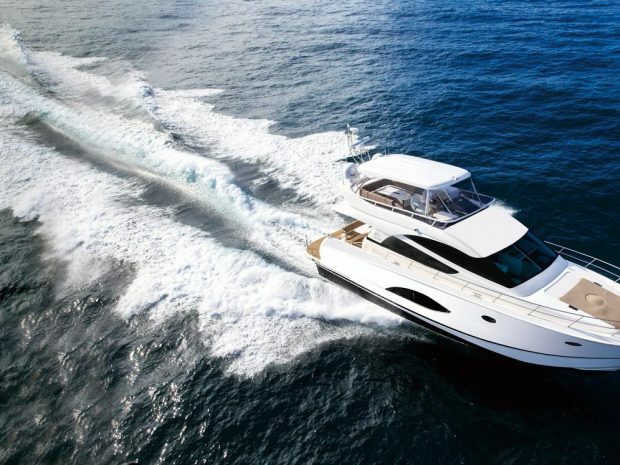 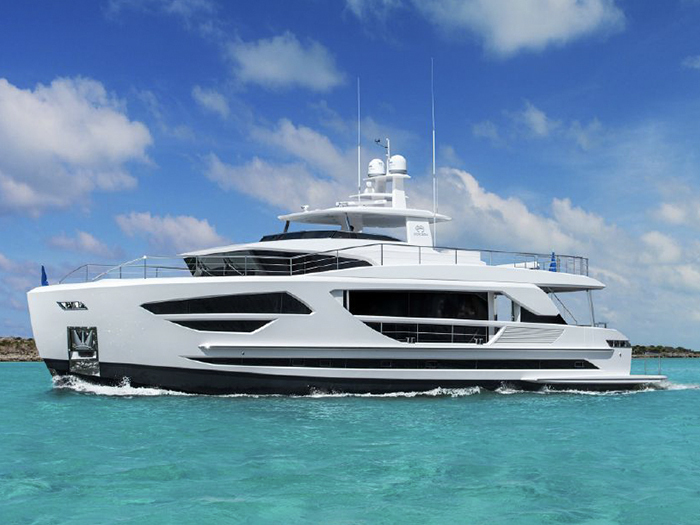 Length 56' | Beam 15'9" | Draft 4'5"
The Horizon E56 motoryacht is designed to take advantage of the innovative drive technology offered by dual Volvo IPS drives for improved fuel economy, better performance, reduced draft, and increased interior volume. 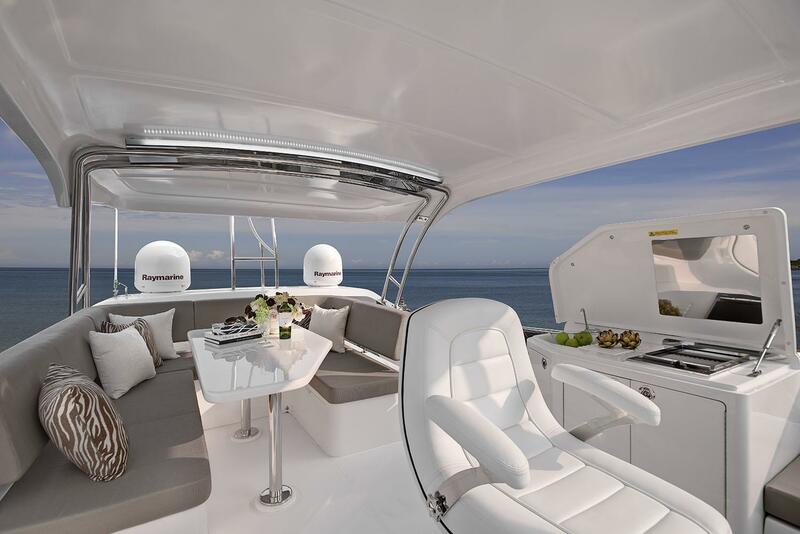 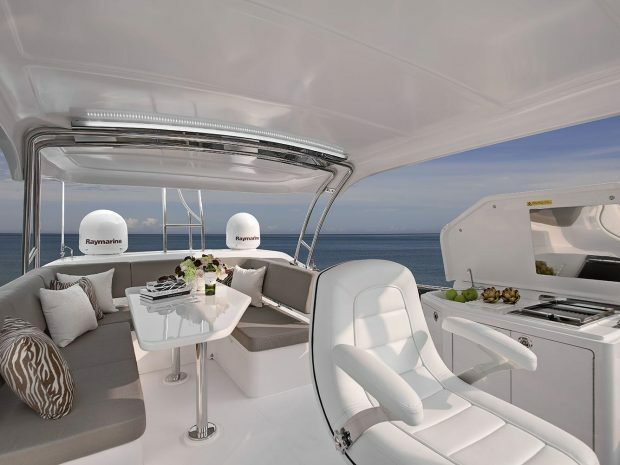 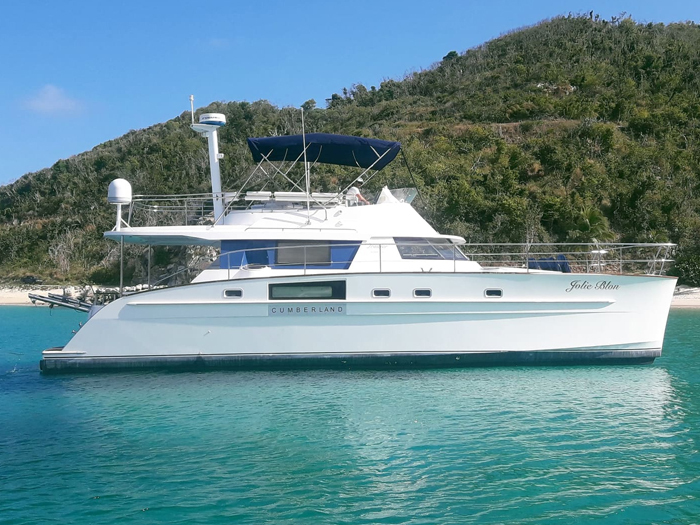 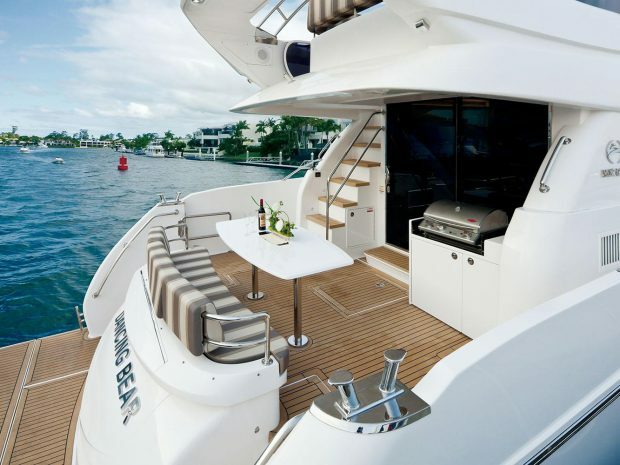 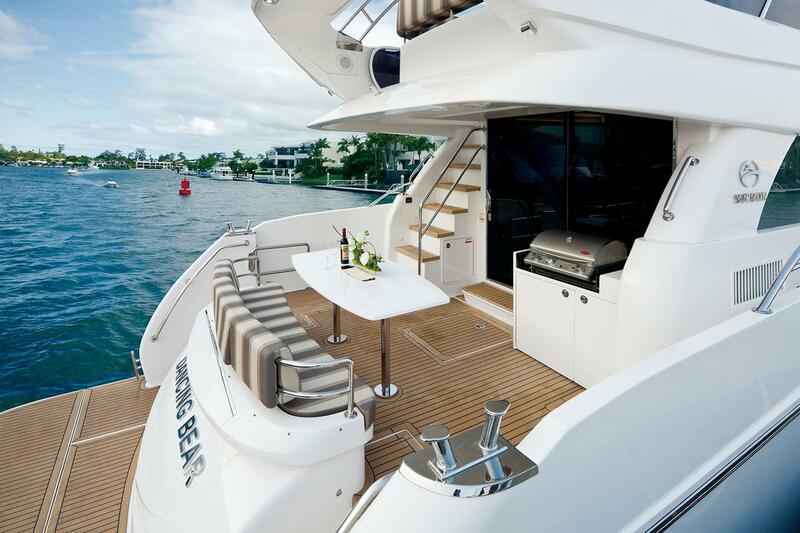 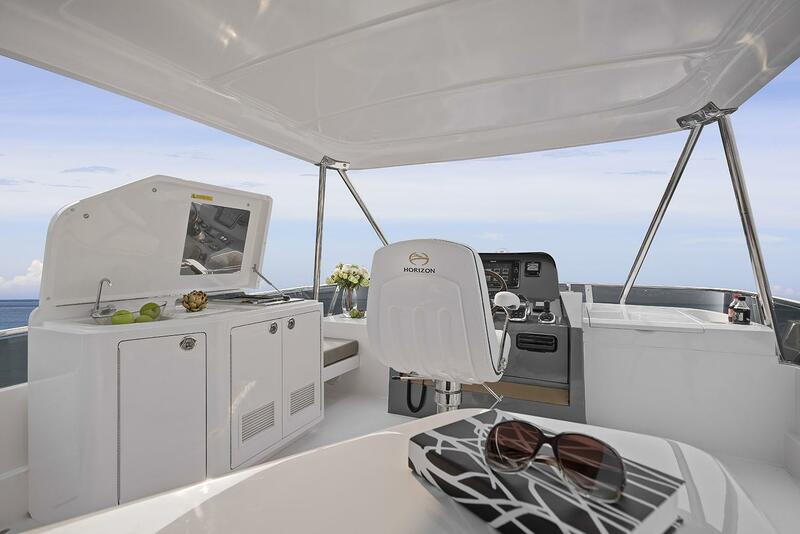 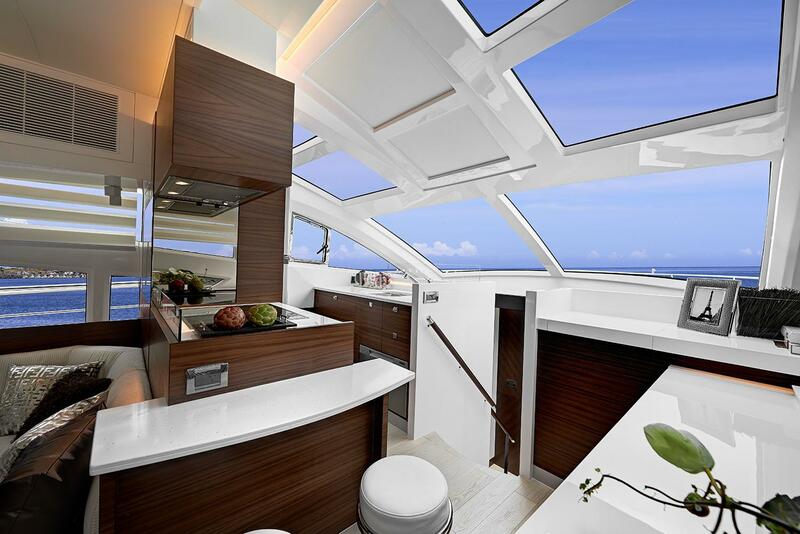 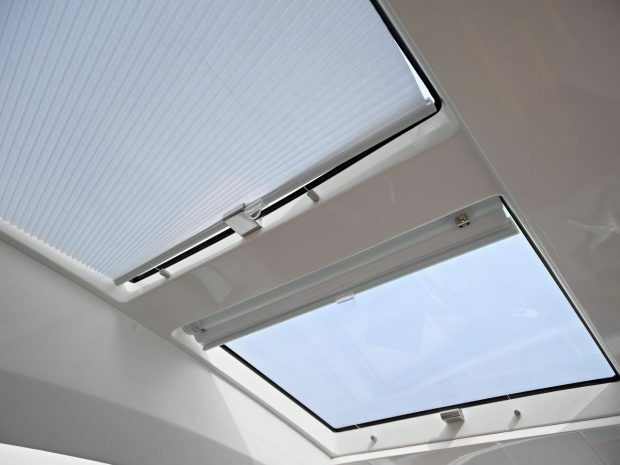 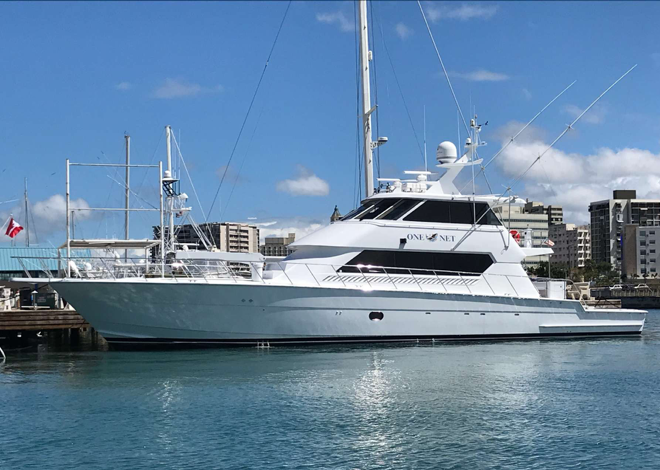 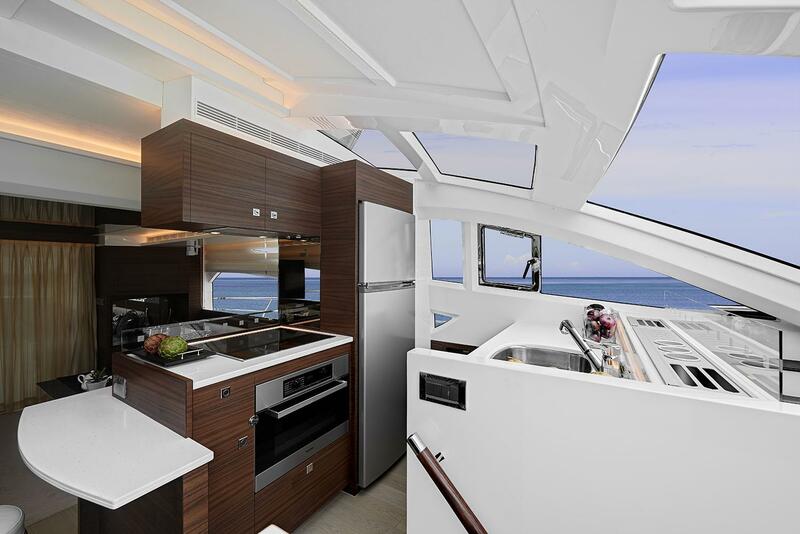 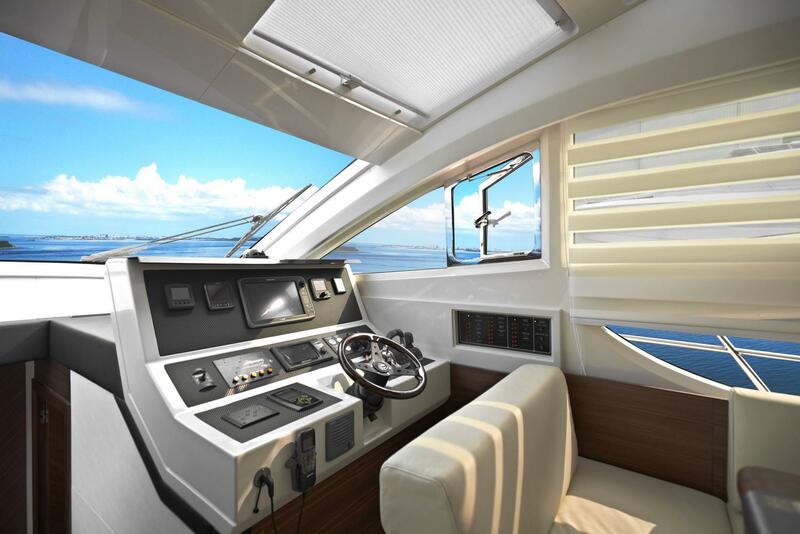 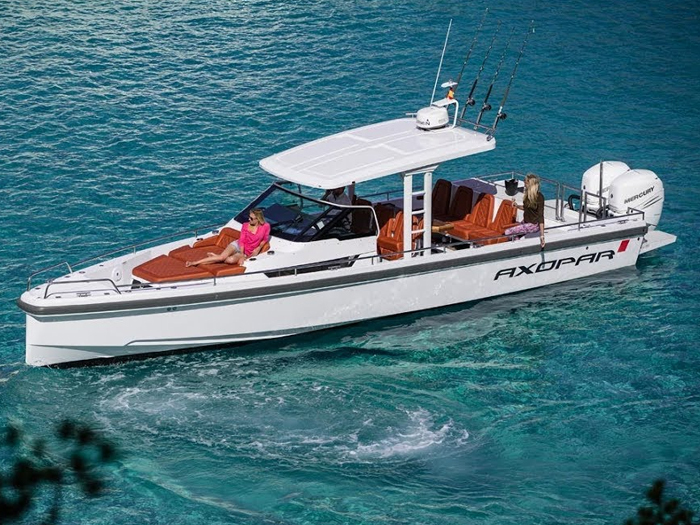 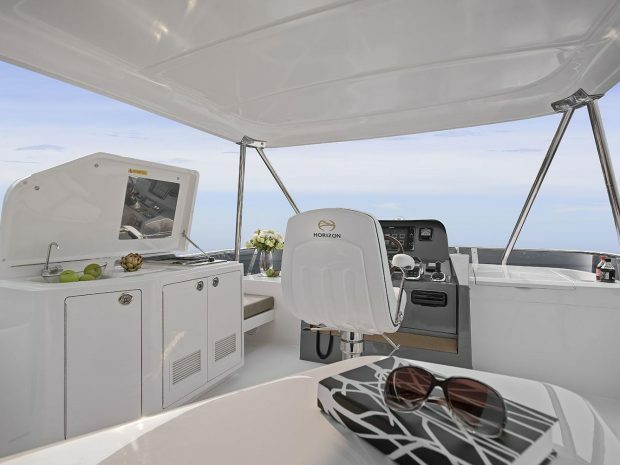 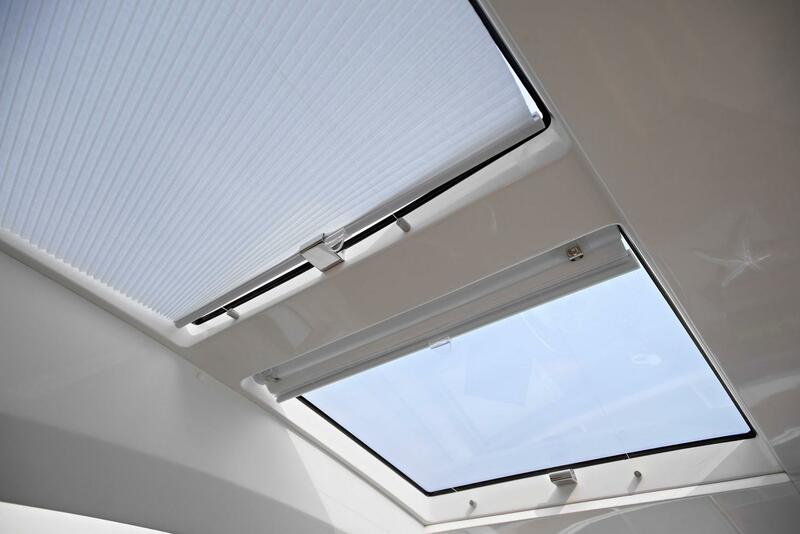 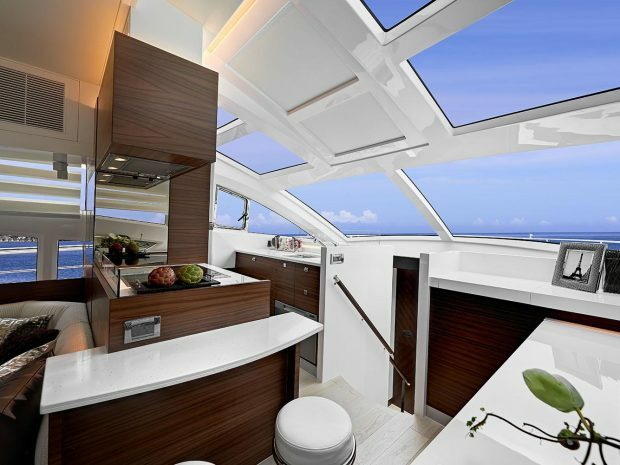 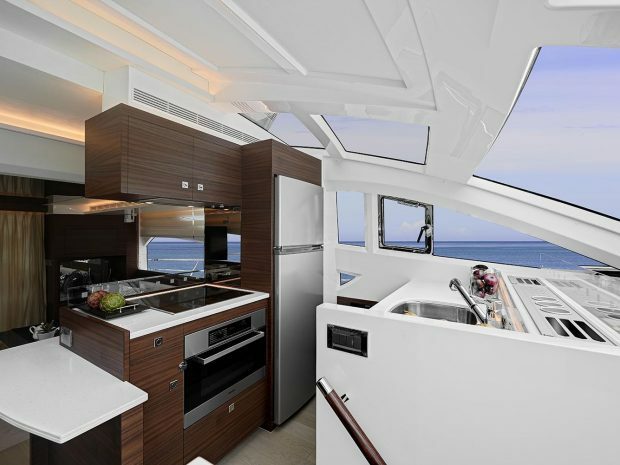 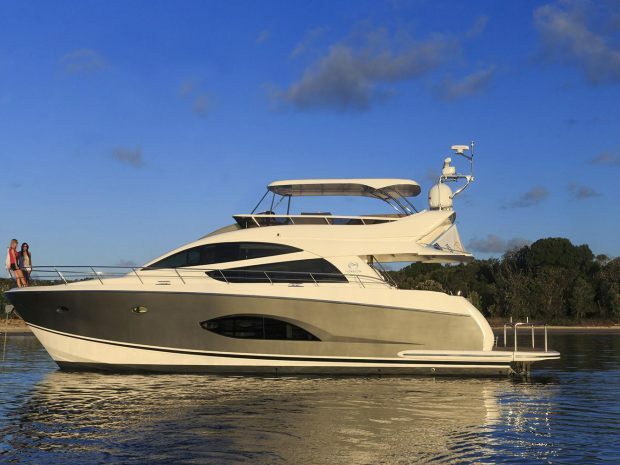 An oversized windshield provides improved visibility from the lower helm and also creates a spectacular overhead skylight for the on deck dining area. 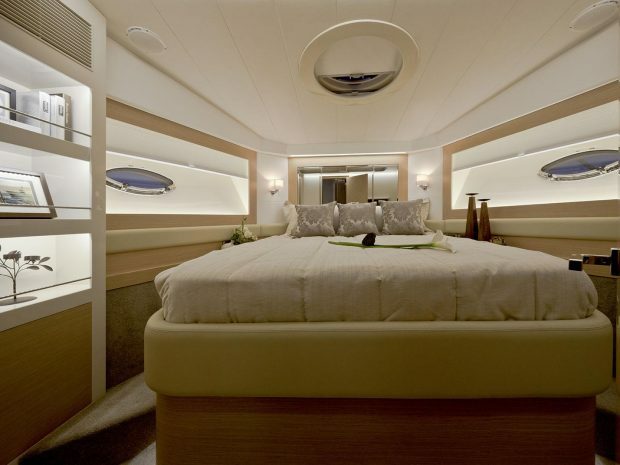 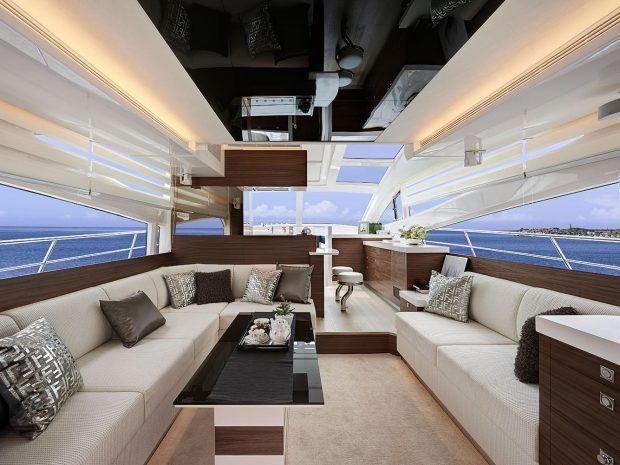 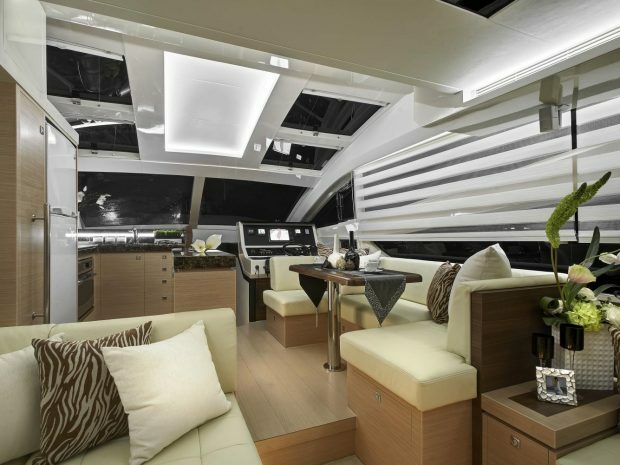 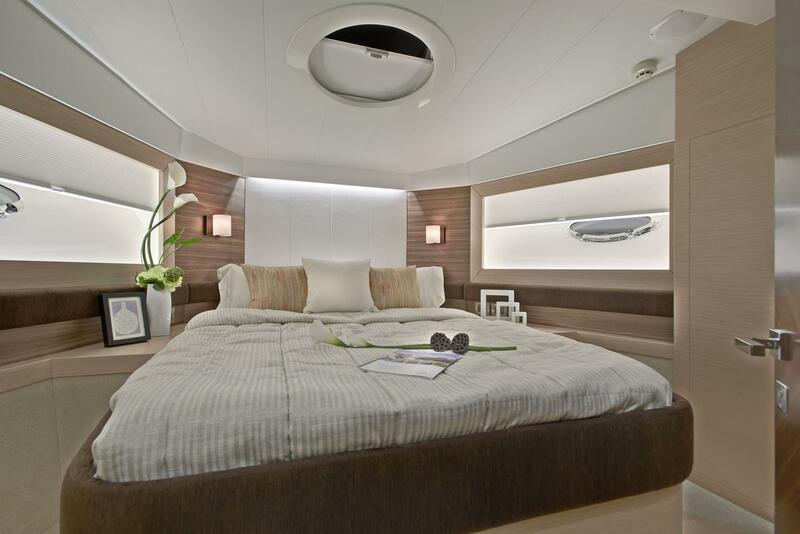 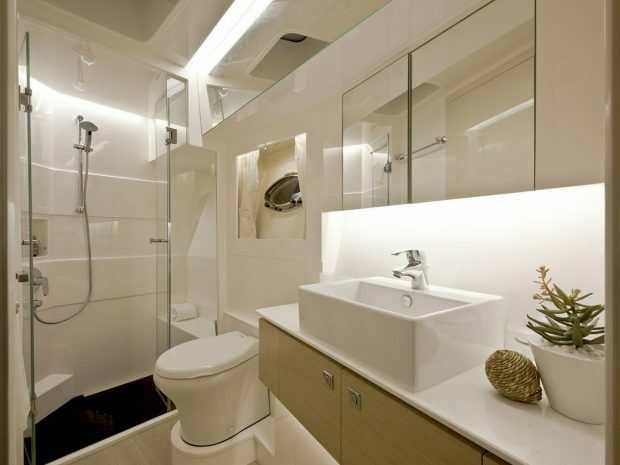 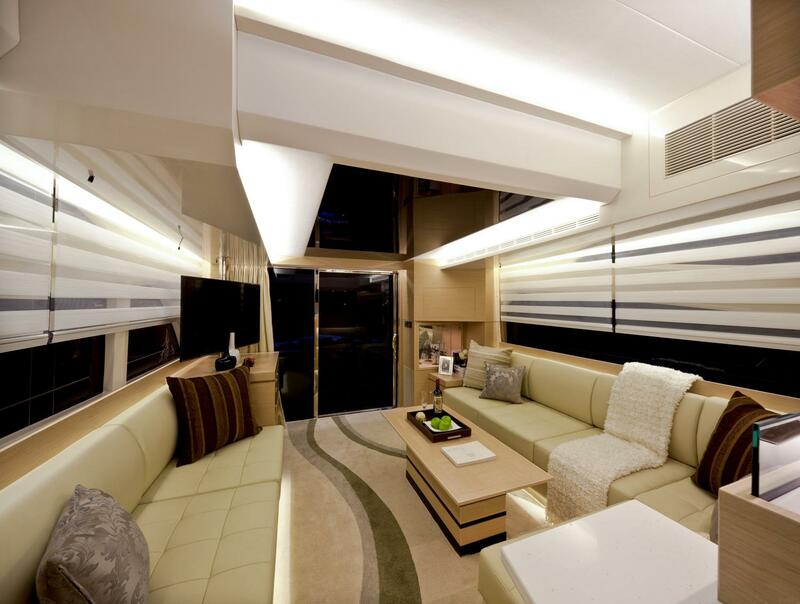 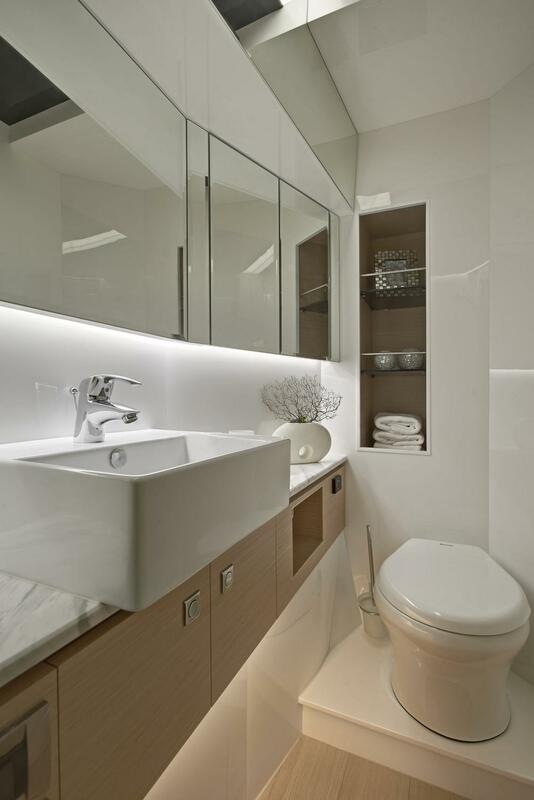 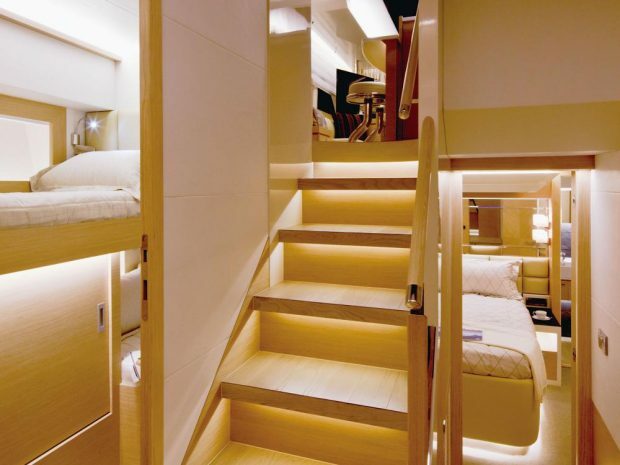 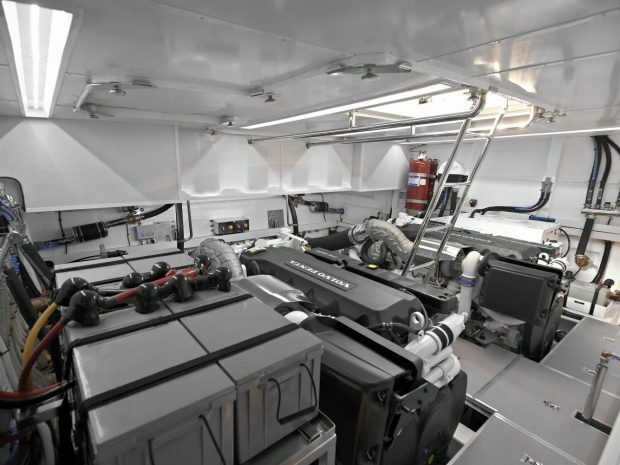 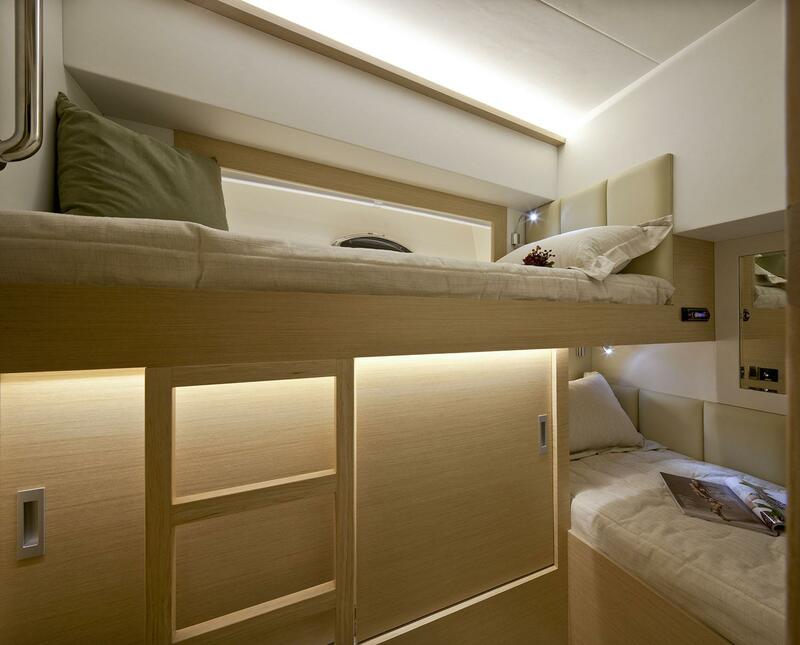 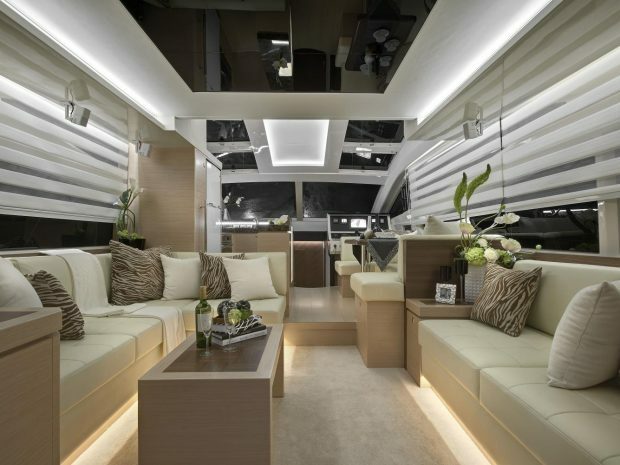 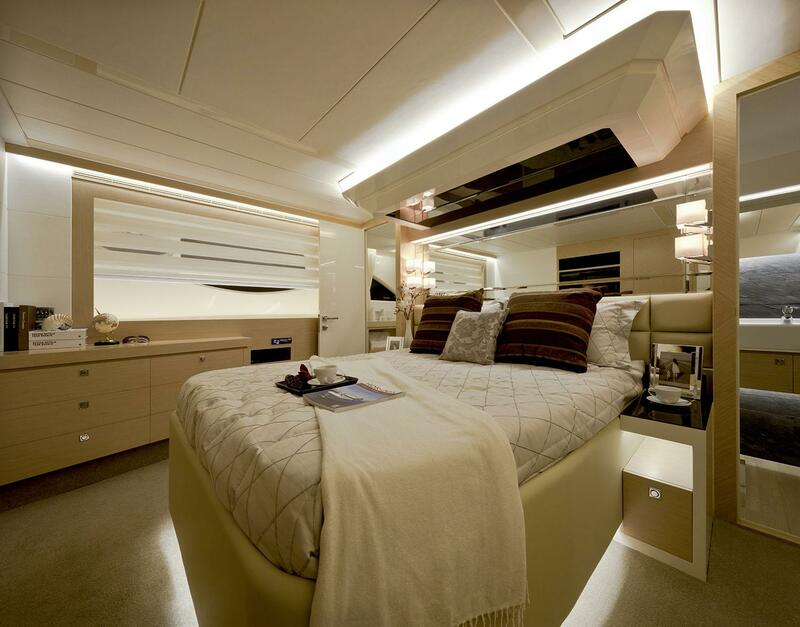 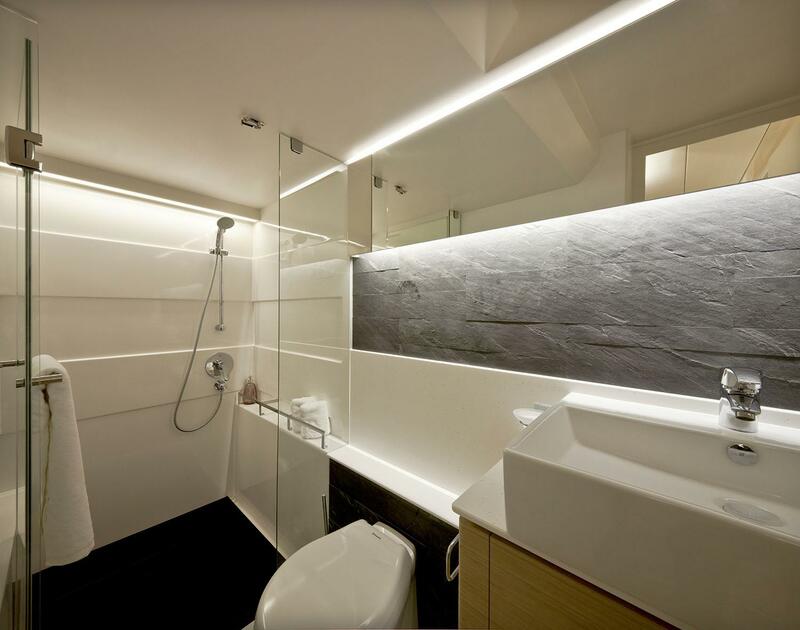 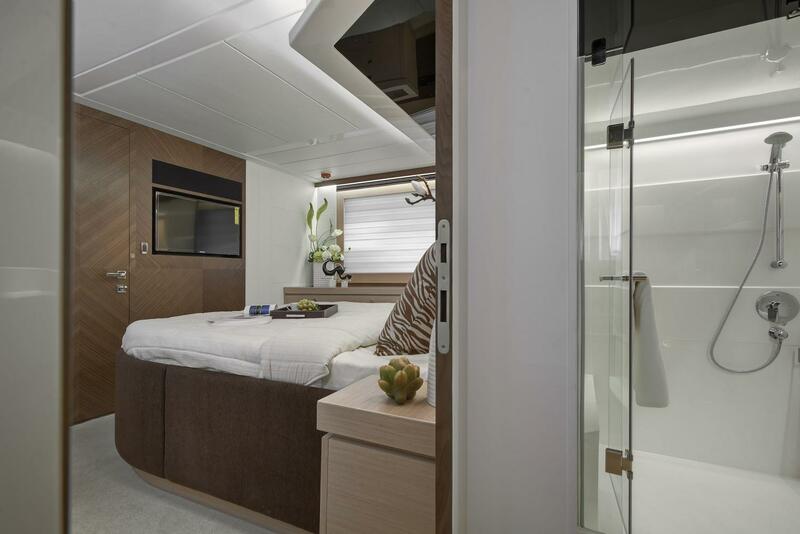 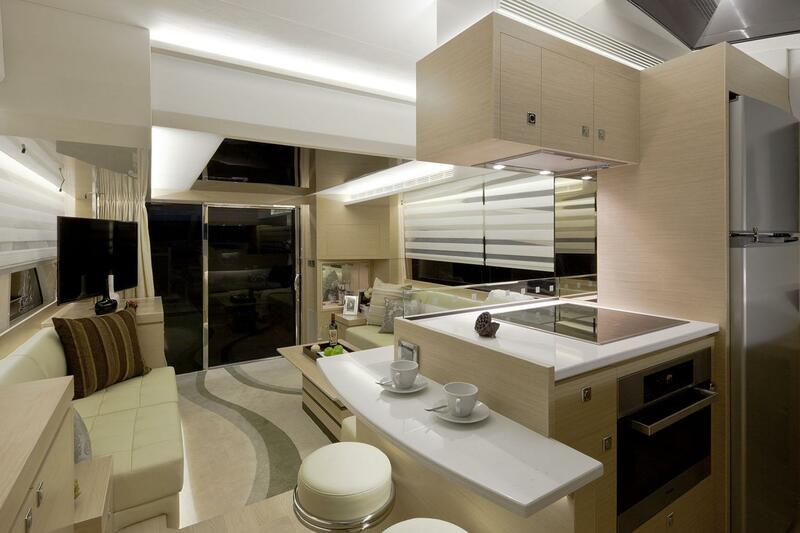 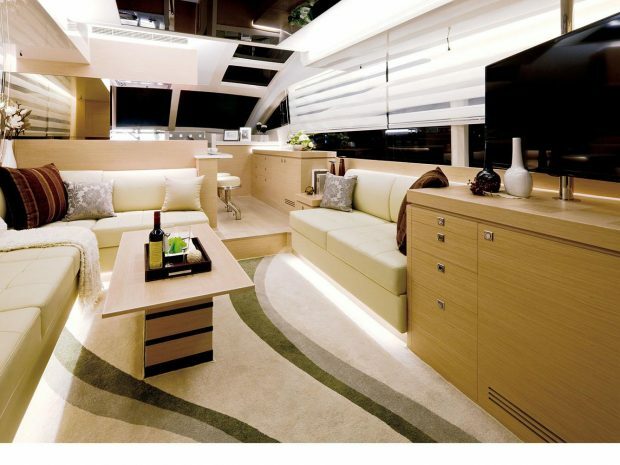 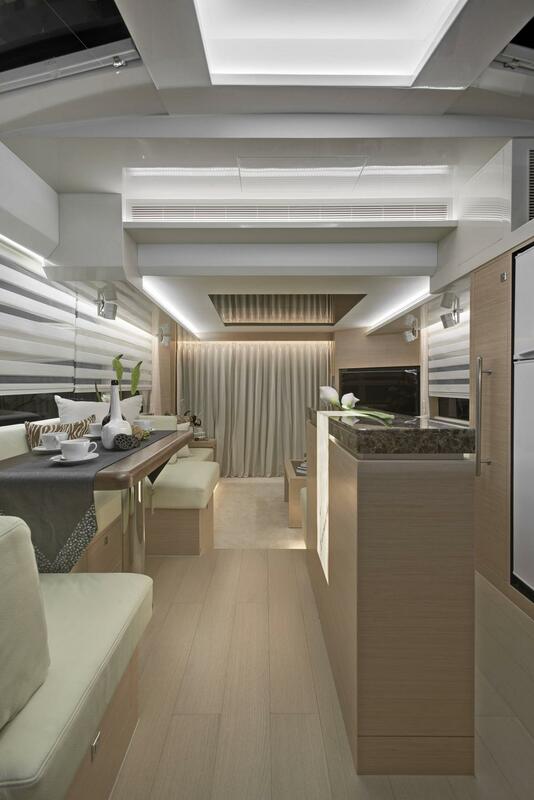 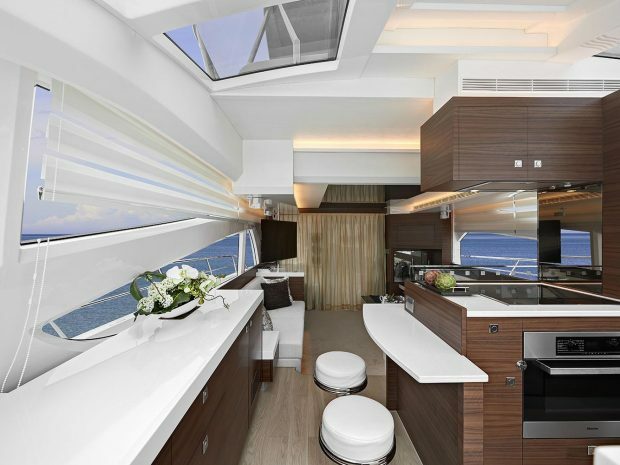 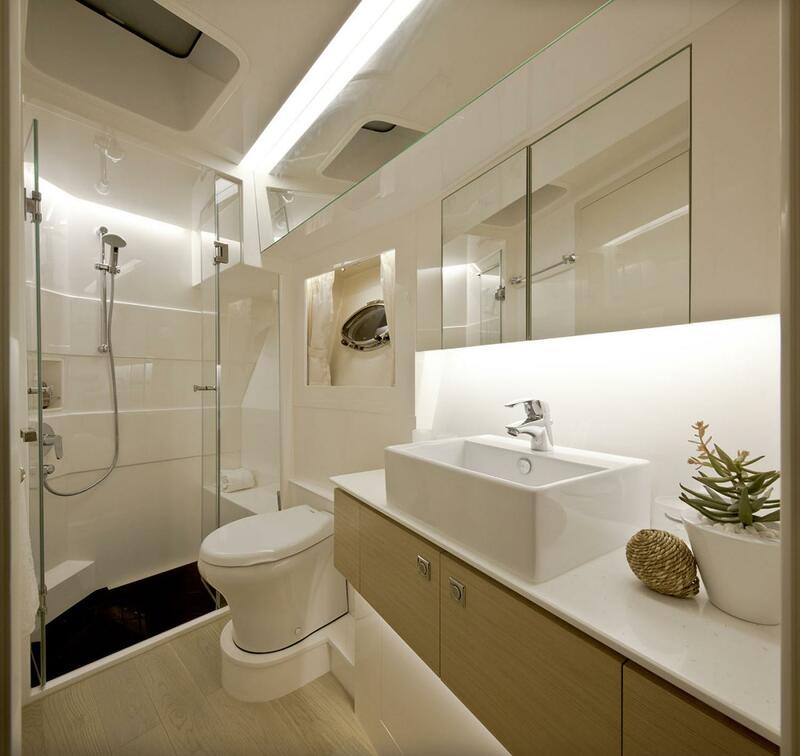 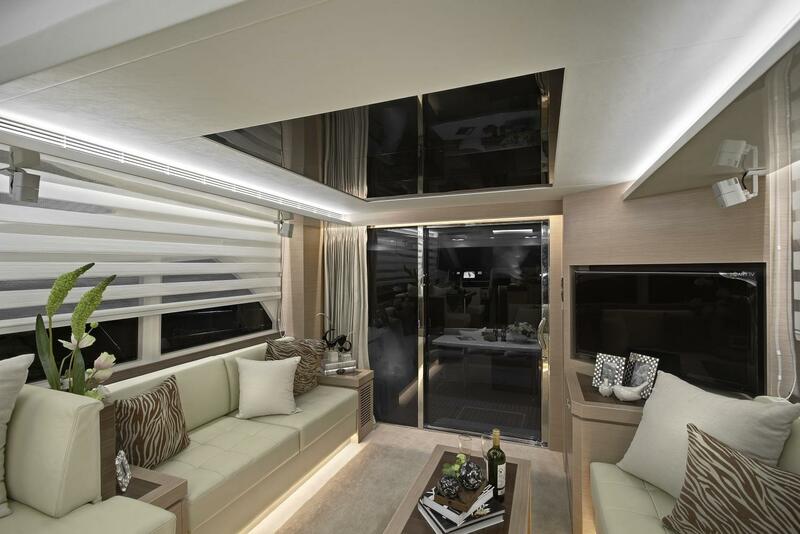 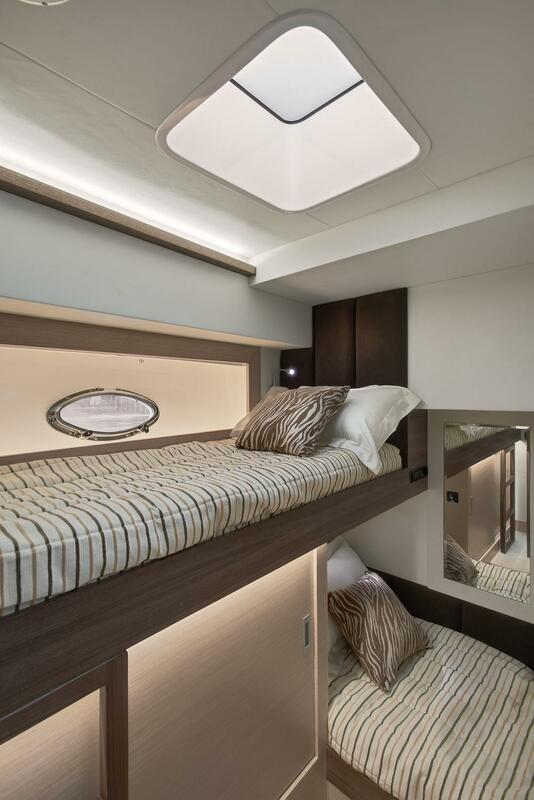 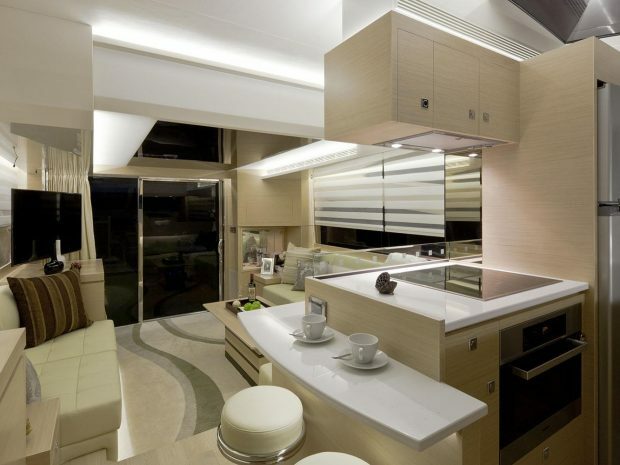 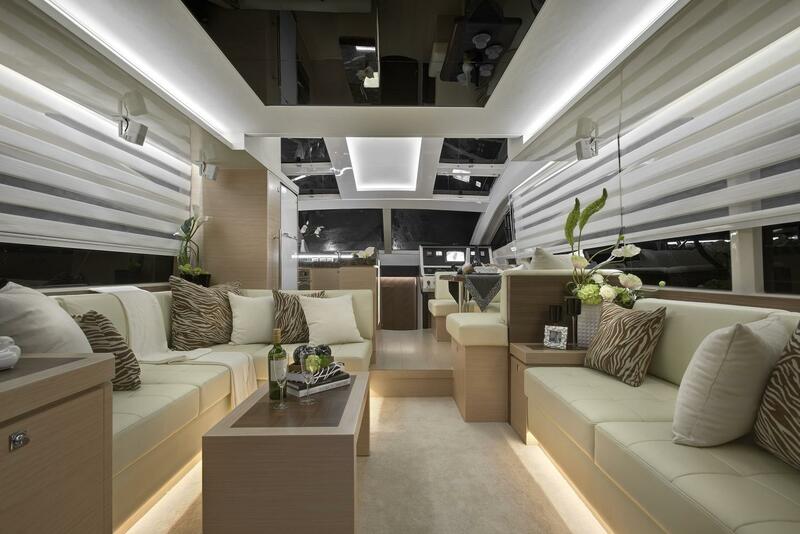 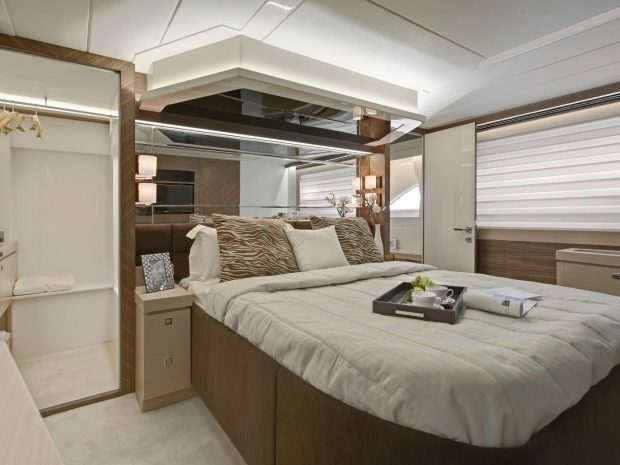 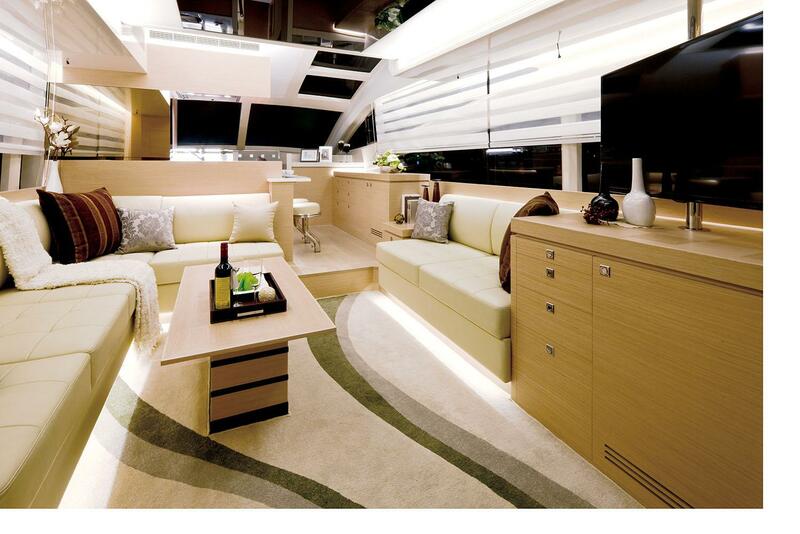 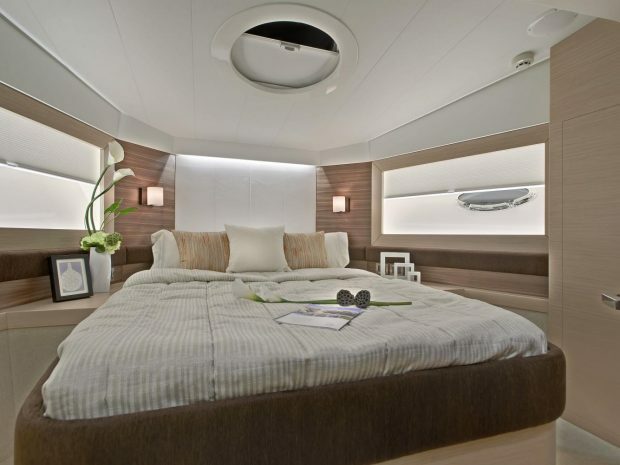 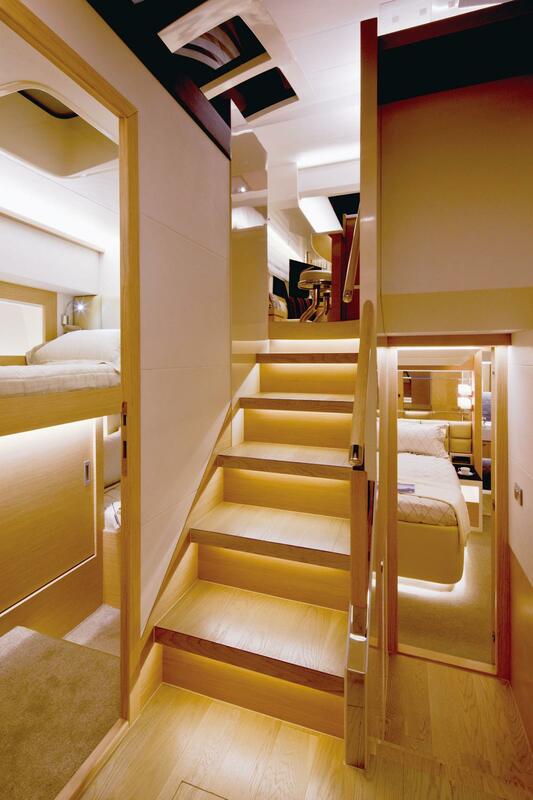 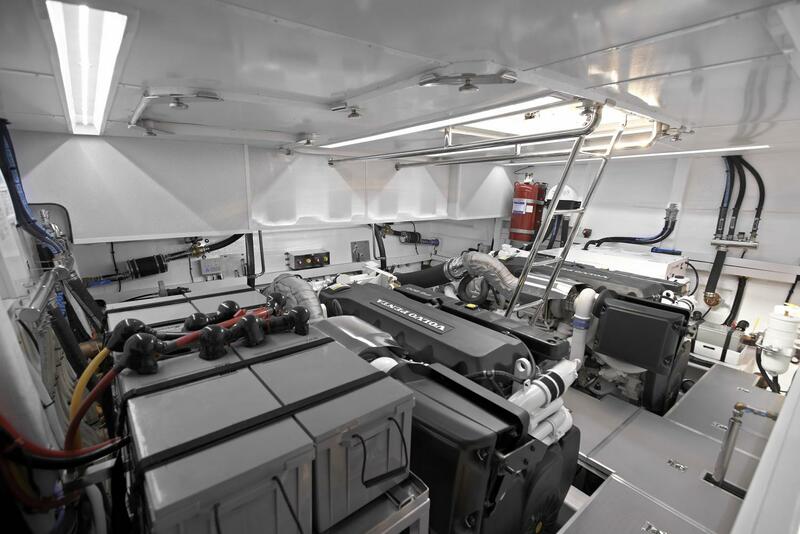 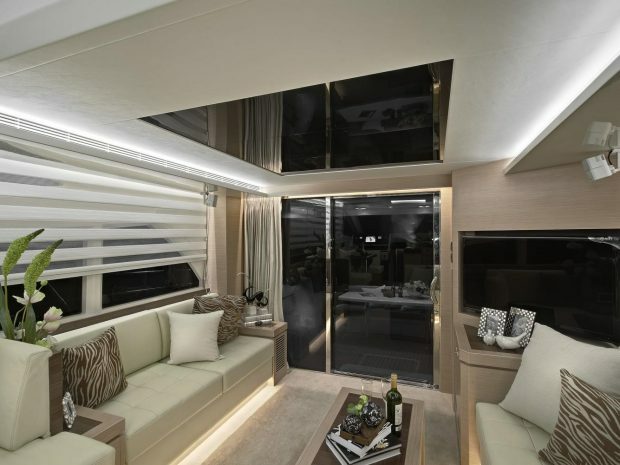 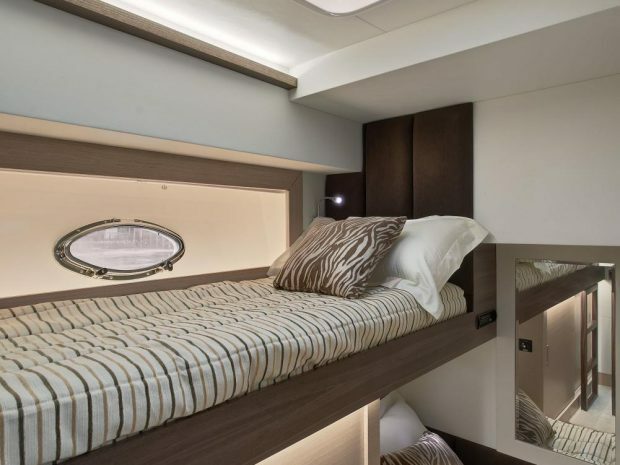 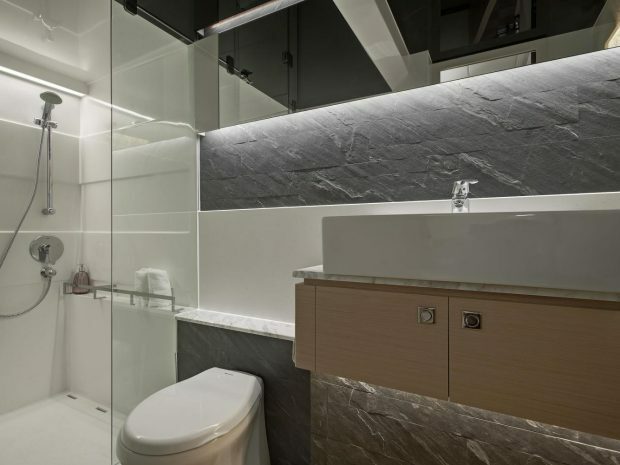 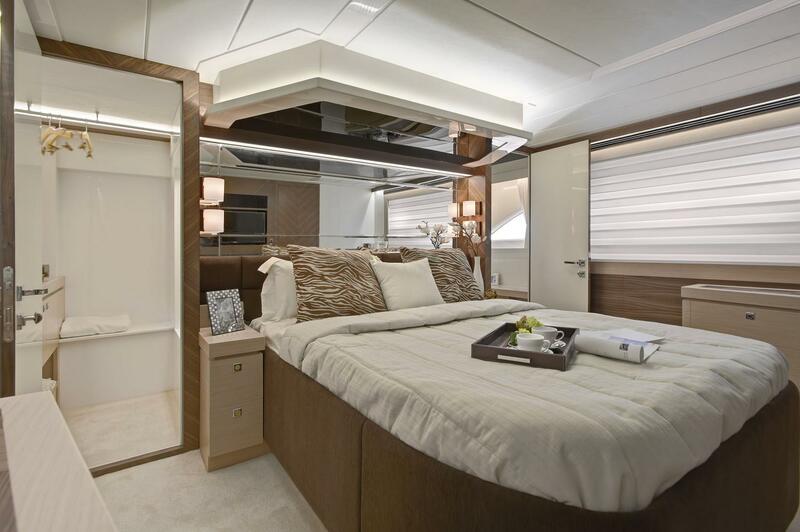 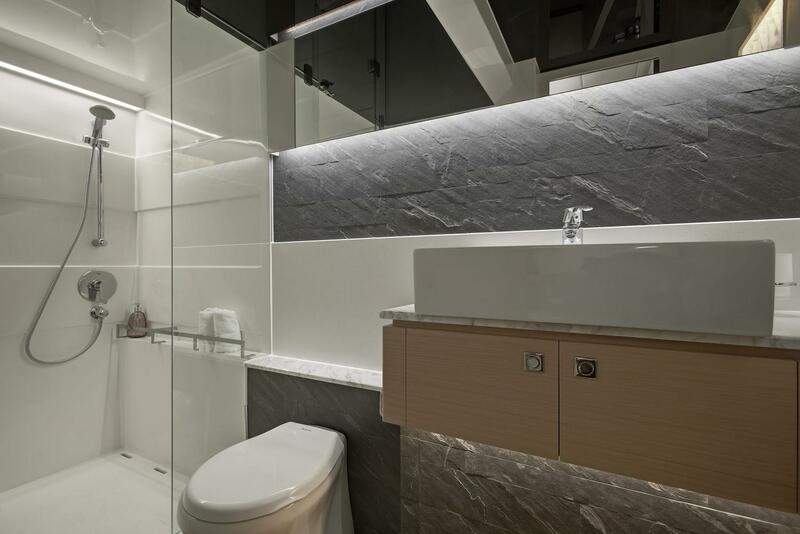 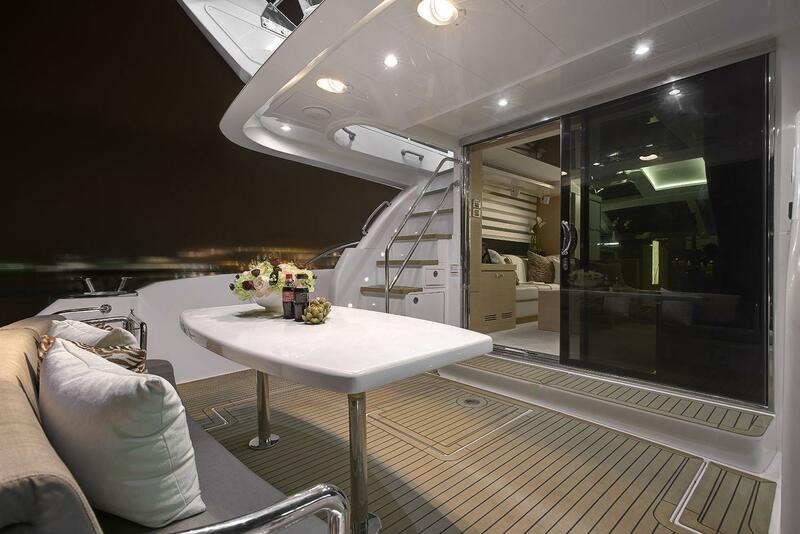 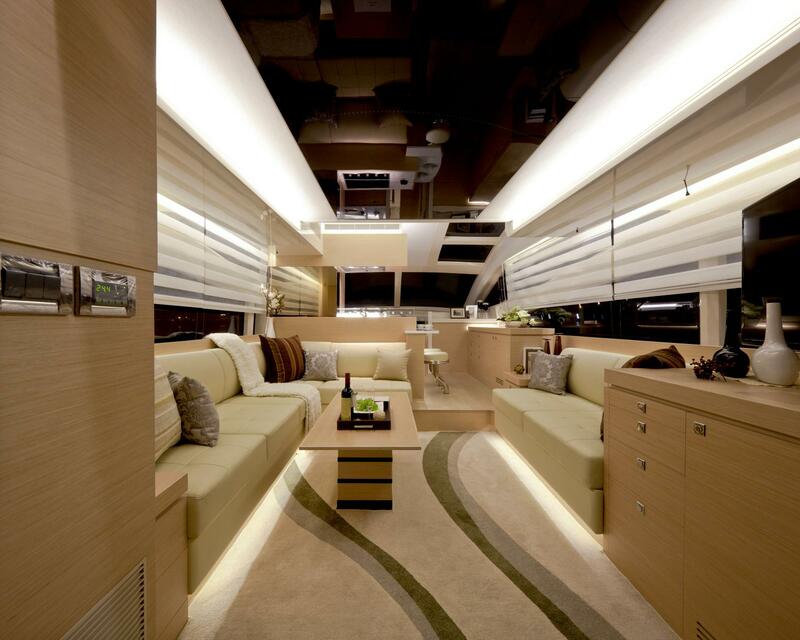 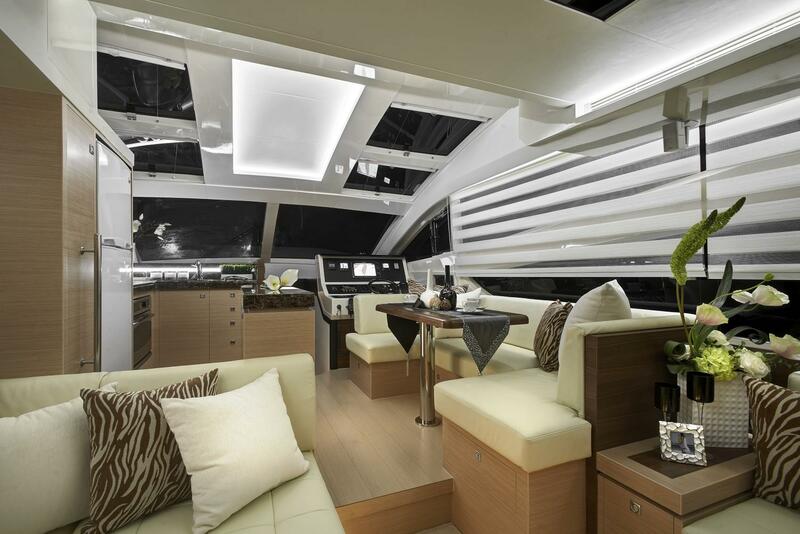 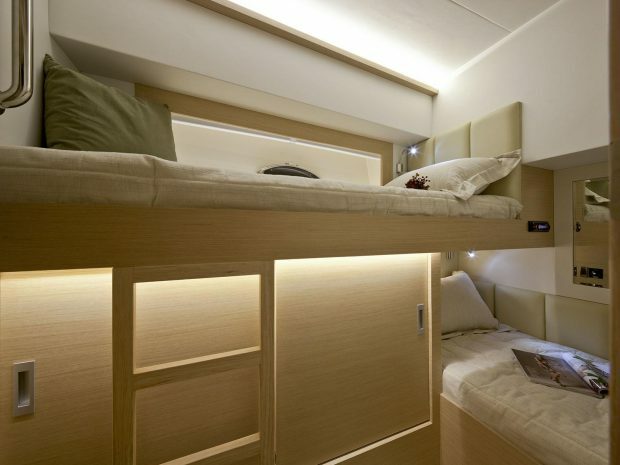 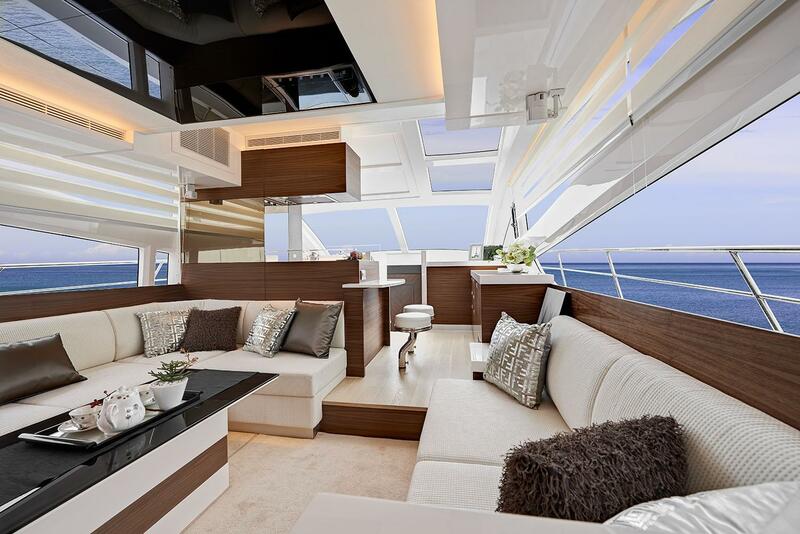 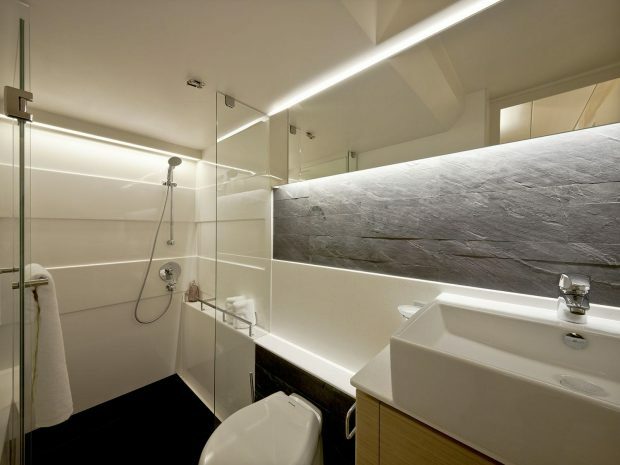 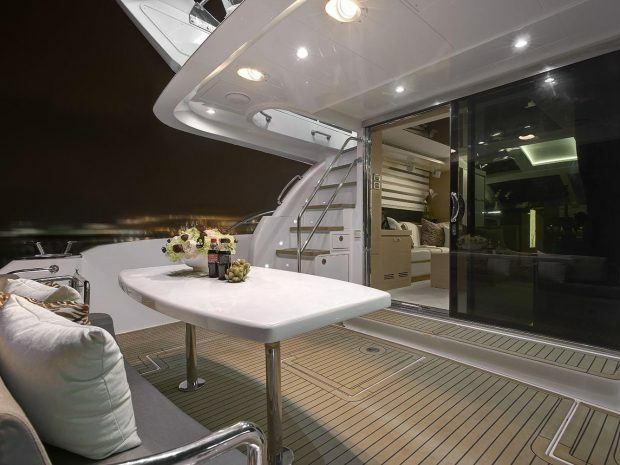 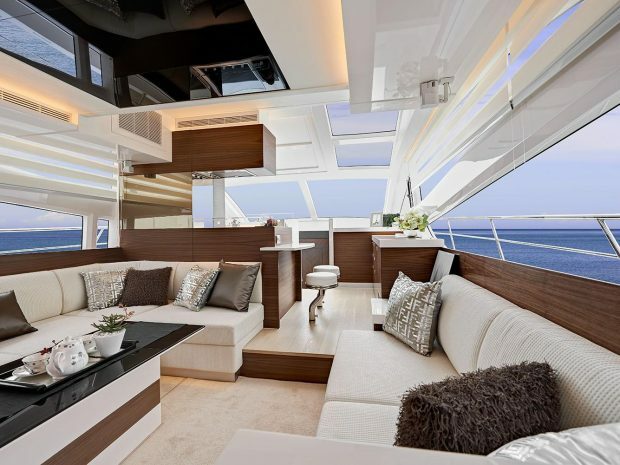 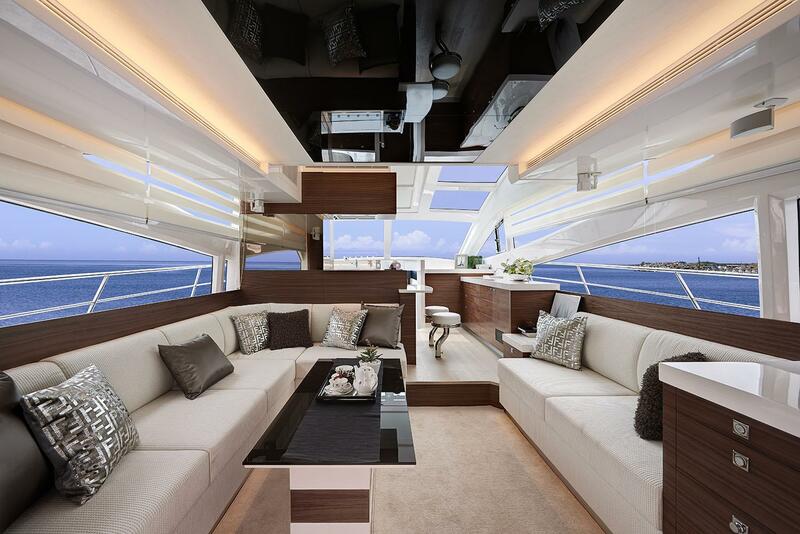 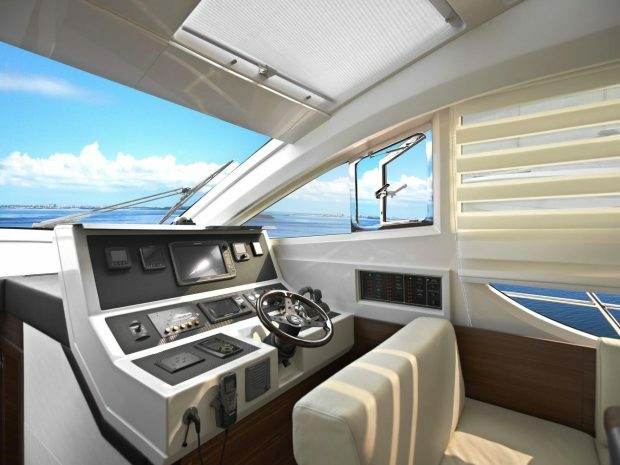 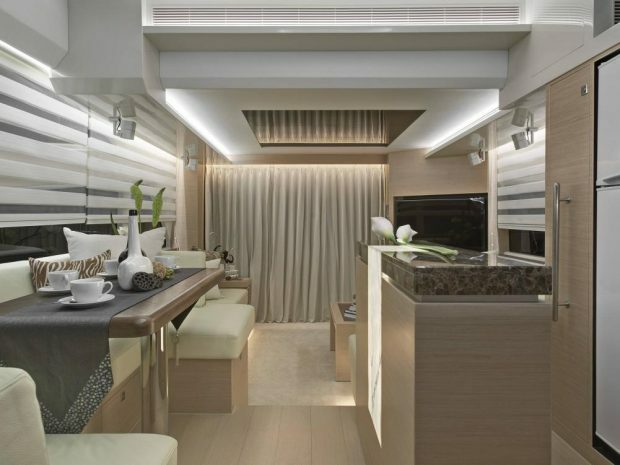 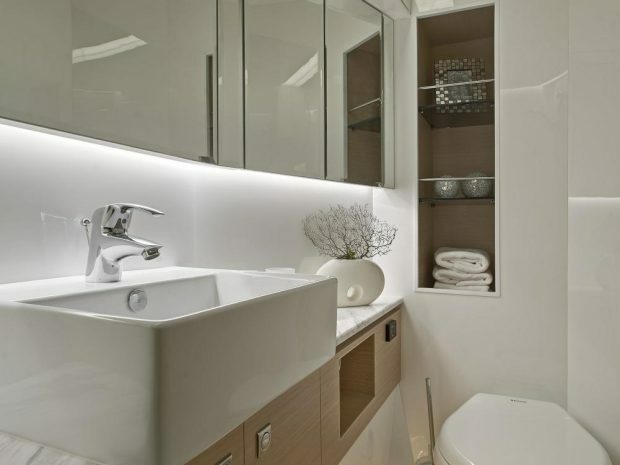 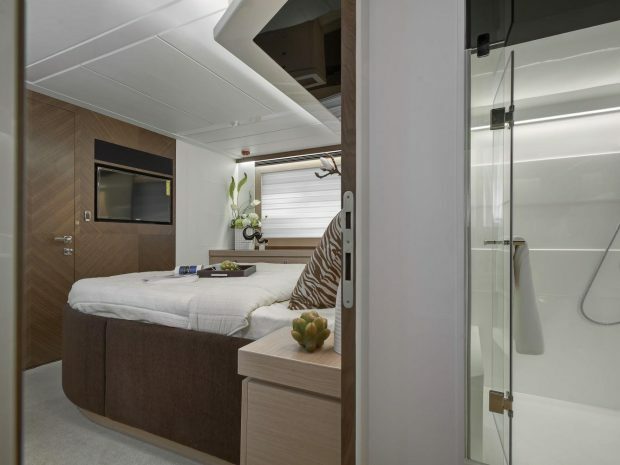 The large main deck side windows flow into a uniquely streamlined effect which maximizes the natural lighting and compliments the custom interior LED lights for optimal lighting day or night. 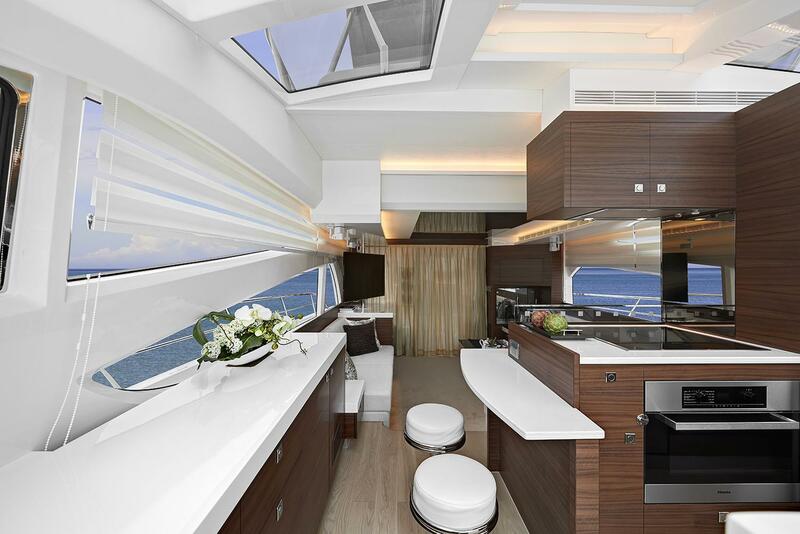 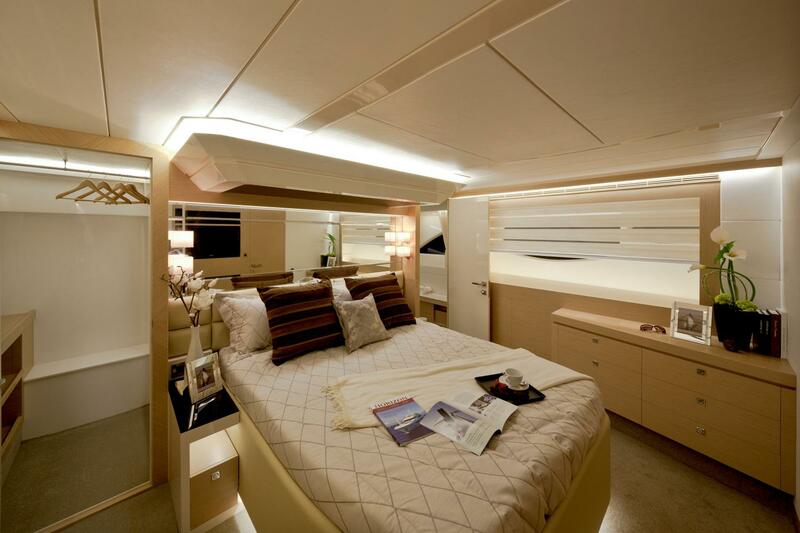 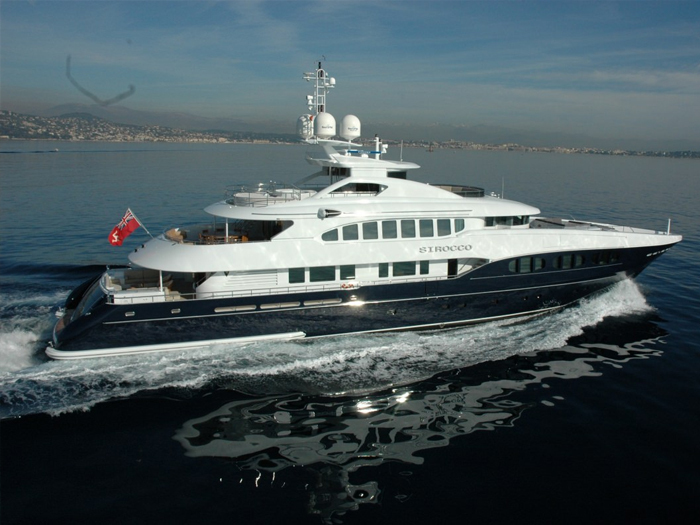 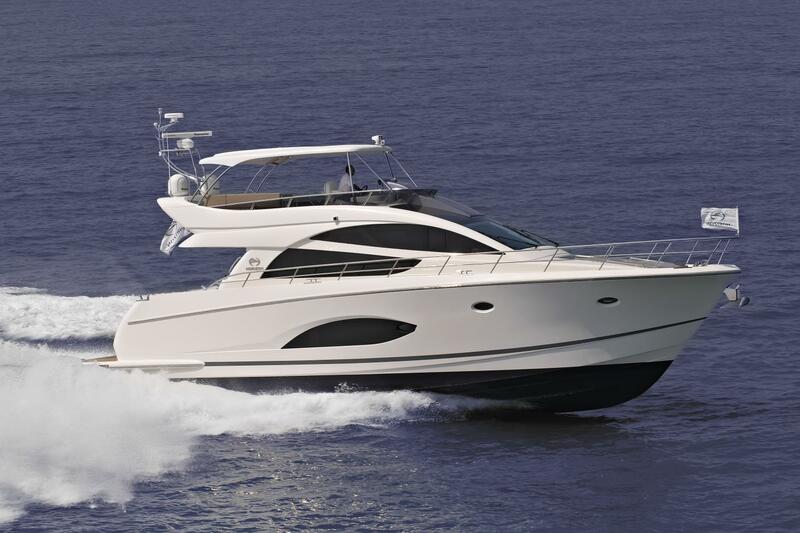 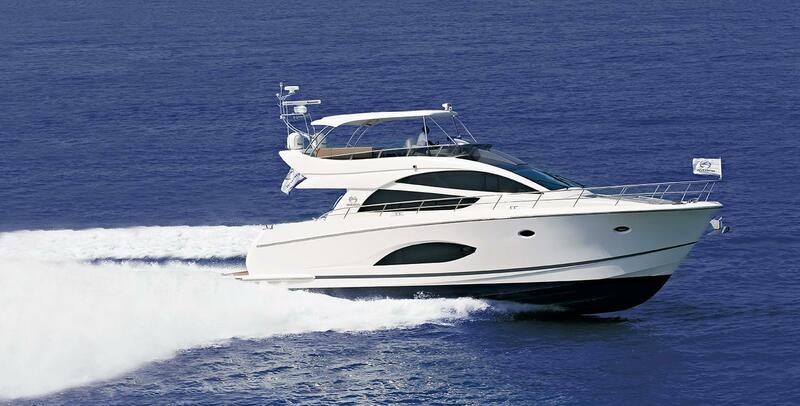 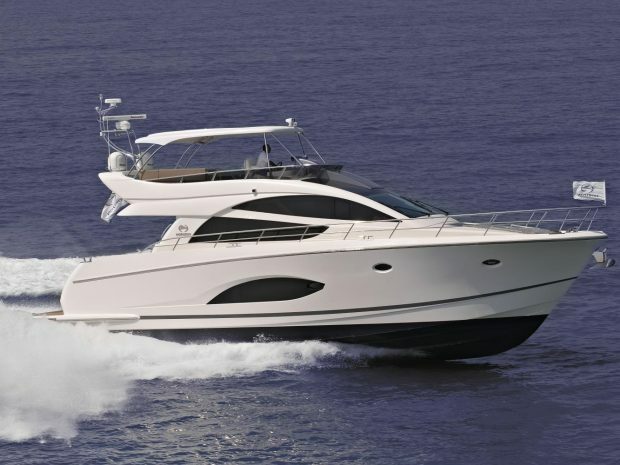 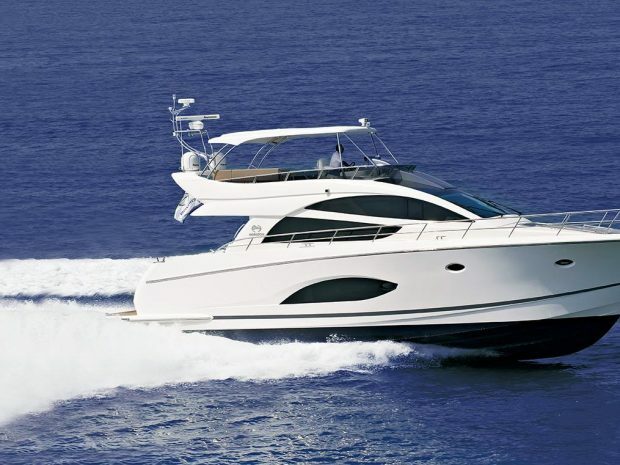 Her refined and streamlined profile makes the E56 a lesson in design and proportion for luxury yachts in her class.